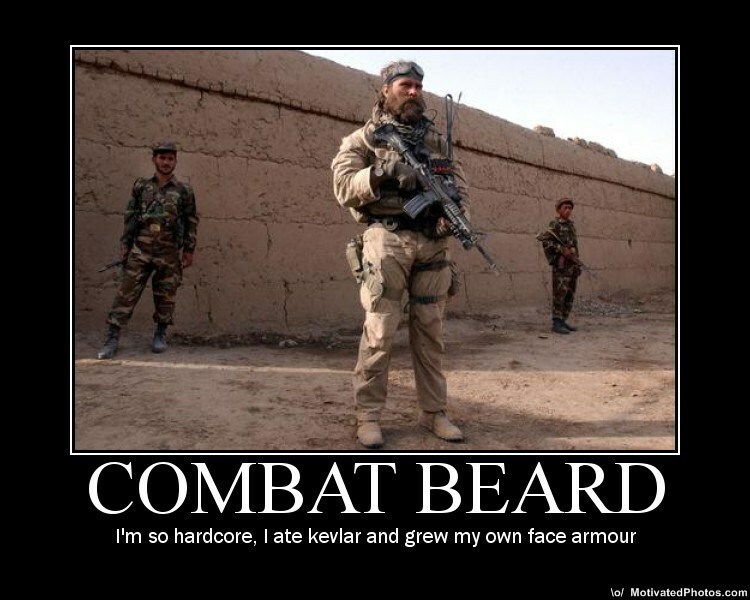 It's all in the beard... Why do you think Osama Bin Laden is still alive? @ Looney: Yeah... Beards, long hair, and loose clothing are probably not a good idea in combat realistically. My buddy works with this guy. He's apparently pissed at his likeness being all over the place. He is the same dude on the new medal of honor game and they didn't ask his permission to use his likeness. @ Anonymous (#3): Then this guy shouldn't have looked so badass. As with the game, chances are anyone they make in the game is going to look like someone... Even a randomized face is going to look like someone out there.